I’m really excited to announce that Michelle Parolini from Allison Park, PA. is the first recipient of our “Awesome Instructor” award! Michelle quit her day job as a commercial real estate broker to become the CEO | Head Coach & Mentor of Park Journeys, Inc.
Park Journeys, Inc. is a youth development organization which seeks to educate, energize, and empower urban and rural youth through exploration, wellness and civic engagement. 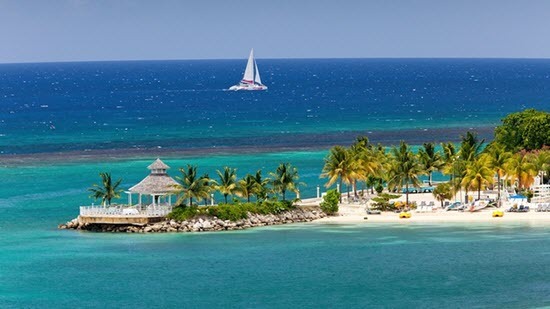 Jewel Paradise Cove Resort and Spa is a brand new property in Runaway Bay Jamaica – and I’m not kidding about brand new, their grand opening isn’t until Nov 15 2013. That’s a month from now. John and I are very excited to spend the week there. Poor guy, he wasn’t able to go anywhere last winter. My older daughter Abby and I had a fabulous time at Dreams in Puerto Vallarta… while John stayed home to watch the dog. I hear this place is awesome and the early reviews are very positive. We plan to post a review of the resort as soon as we get back in mid December. Do you have your teaching vacation planned for 2014? Now you can teach in St. Maarten! Another beautiful place to teach! Suzelle Snowden from FitBodiesinc send me the announcement about a new resort in St. Maarten that all you Yoga Instructors should check out. Fit Bodies, Inc. is very proud to announce a BRAND NEW Country and a NEW RESORT to add to our list of prestigious locations for our members. St. Maarten!! Did you know….The 37-square-mile island of St. Maarten was first settled by the Arawaks and was discovered by Christopher Columbus on behalf of Spain in 1493. Columbus sighted the island on November 11th, the holy day of St. Martin of Tours, and so named the island after him. For the next 150 years the island was passed between Holland, England, France and Spain.\The old stone forts that guard many of the island’s inlets are proof of the island’s turbulent past. In 1648 St. Maarten was peacefully divided between Holland and France, and today is the smallest landmass in the world to be shared by two sovereign nations. and announcing our newest resort…. The Sonesta Maho Beach Resort & Casino inviting yoga teachers to experience a new level of luxury in St. Maarten. From the moment you arrive you will know this resort is something special. Click here to see if you qualify and/or learn more. For many of us, our world is all about fitness. Many of our friends are fitness instructors who we’ve taught with for years and we socialise with them and their significant other. So why not vacation together as couples? It wasn’t so easy… until now. In the past, resorts would typically only accept one fitness professional at a time. Amy has vacationed with a friend – leaving me and the kids at home 🙁 It’s been a great deal for both; Amy’s teaching credentials provide the all-inclusive accommodations (you get to bring one adult with you) and her girlfriend pays for the plane tickets – typically with points. But now a number of resorts recognise the value of having two guest instructors, which opens the potential for you and another instructor to take a teaching vacation together! Dreams Puerto Vallarta – Yoga and group exercise and/or tennis through October 2013 then 1 pro is scheduled weekly. They will host ANY enthusiastic format! This can work very well for you and your friend, if you both teach the required formats. One can take all the classes during the day, giving the other the full day off to schedule off-property excursions.